Rodger created the JFLAP educational software package for visualizing and experimenting with formal language concepts including automata, Turing machines, grammars, parsing, and proofs. JFLAP is used worldwide in courses on formal languages, discrete mathematics, compiler design, and artificial intelligence. Having created the Adventures in Alice Programming Project that integrates computing into K-12 with the Alice programming language, Rodger has organized four Alice Symposiums and thirty workshops, teaching over 400 K-12 teachers the Alice programming language and how to integrate computing into their disciplines. She has developed free Alice curriculum materials and is currently co-developing an online Alice Coursera course. Rodger led other efforts including organizing workshops on JFLAP, integrating Peer-Led Team Learning (PLTL) into computer science, and career mentoring for students, faculty and researchers. Rodger has supervised over 100 students, mostly undergraduates, on JFLAP, Alice and other topics. She is also known for making computer science-themed cookies and integrating them into problem-solving activities that aid students in learning concepts. Rodger is a long-time SIGCSE contributor, including having chaired the SIGCSE Board. She led the effort to create a new SIGCSE conference named ACM Global Computing Education Conference (CompEd); its first conference will be held in May 2019. 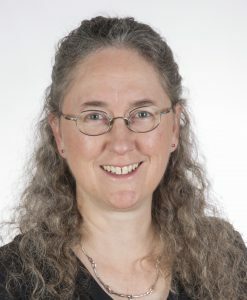 She is currently on the CRA-W Board, chaired the AP Computer Science Development Committee, and served on the ACM Education Policy Committee. She was awarded the ACM Karl V. Karlstrom Outstanding Educator Award and the ACM Distinguished Educator award. She was a finalist candidate for the NEEDS Premier Award for Excellence in Engineering Education Courseware for the software JFLAP. Rodger was previously an assistant professor at Rensselaer Polytechnic Institute, and joined Duke in 1994. She received a Ph.D. in computer science from Purdue University, and B.S. degrees in computer science and mathematics from North Carolina State University. The Taylor L. Booth Education Award commemorates individuals who have an outstanding record in computer science and engineering education, as established by some of the following criteria: achievement as a teacher of renown in a relevant and applicable course; writing an influential text; leading, inspiring, or providing significant educational content during the creation of a curriculum in the field; and inspiring others to a career in computer science and engineering education. The award consists of a bronze medal and $5,000 honorarium. The award will be presented at the IEEE Computer Society’s annual awards dinner and presentation to be held on Wednesday evening, 5 June 2019 at the Hyatt Regency Coral Gables during the IEEE Computer Society Board of Governors meeting. The award is named after Taylor L. Booth, a professor of computer science and engineering at the University of Connecticut who was instrumental in defining computer science and engineering curricula for program accreditation. His name was on the ballot as a candidate for president-elect of the Computer Society when he died of a heart attack in 1986. Learn more about the Taylor L. Booth Education Award, including a list of past recipients.